It’s the day everyone around the world celebrates being Irish, without seeing the irony of that situation whatsoever. People everywhere suddenly have a family tree at the ready to explain how a distant relative from eight generations ago was actually a friend of the cousin of a girl from Ireland, and that totally makes sense. They then shout ‘top o’ the morning to ya’ in an accent that Saturday Night Live would be proud of. All of this before skulling a rake of Guinness in your best oversized green hat. Sounds a bit mad doesn’t it. In the furore of St. Patrick’s Day, drink seems to have become the number one priority. The pressure to drink on St. Patrick’s Day are rivalled only by the expectations of a hangover the day after it. However, there are lots of ways to enjoy the day on the dry. Let’s not forget that this years falls on a weekend so there are plenty of events around the place to keep you entertained. It’s a massive day of sport this year on St. Patrick’s Day. Firstly, we have the Grand Slam decider for Ireland as they take on England in Twickenham at 2.45pm. Having already settled where the Six Nations trophy will spend the next year, Joe Schmidt’s boys will be fighting to secure only a third ever Grand Slam. Beating the auld enemy would also mean we win the 2018 Triple Crown. 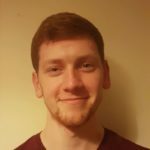 It’s sure to be a monster contest, with England looking to do what Ireland did to them last year, beating them on the final day to deny the perfect Championship. The game will be on just about anywhere you go, so be sure to watch it! 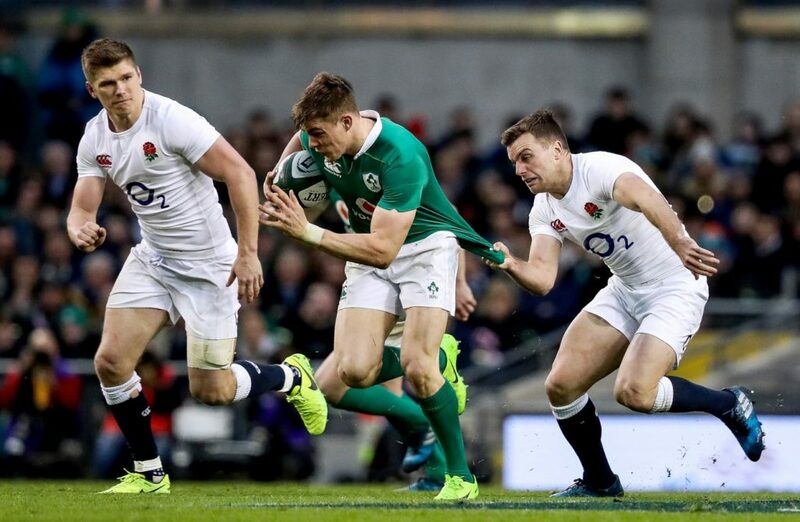 To really get in the mood before the match, reel back the years and reminisce on some of the very best rugby clashes between Ireland and England. Turning to GAA, we have the annual All-Ireland Club Championship finals in Croke Park. 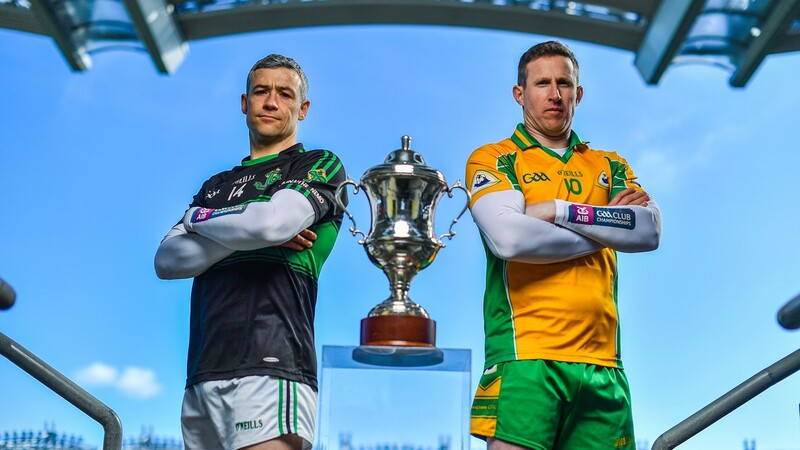 Corofin take on Nemo Rangers in the football (2.00pm throw-in) before Cuala defend their title against Na Piarsaigh in the hurling (3.45pm throw-in). It’s always a wonderful occasion in Croke Park at this time of year and there are still tickets available to purchase. So why not head out to the game and then catch the other events in the capital. 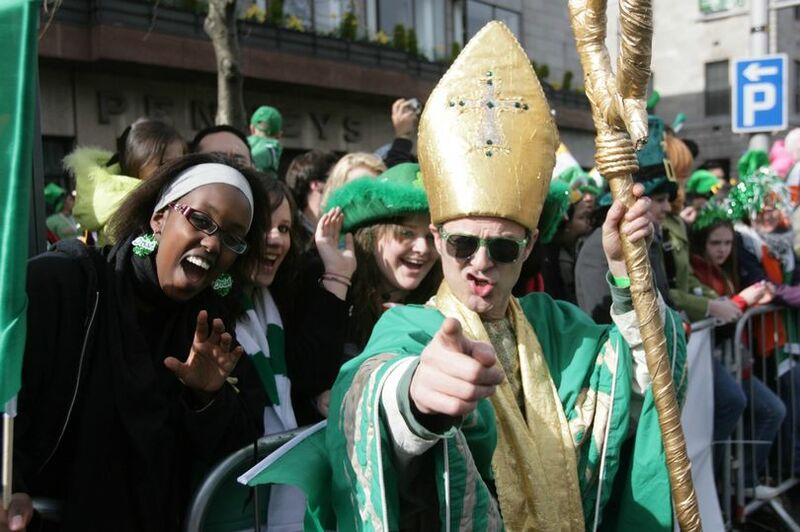 Almost every town in Ireland will be hosting a St. Patrick’s Day parade so plenty of options for taking in the scenes. 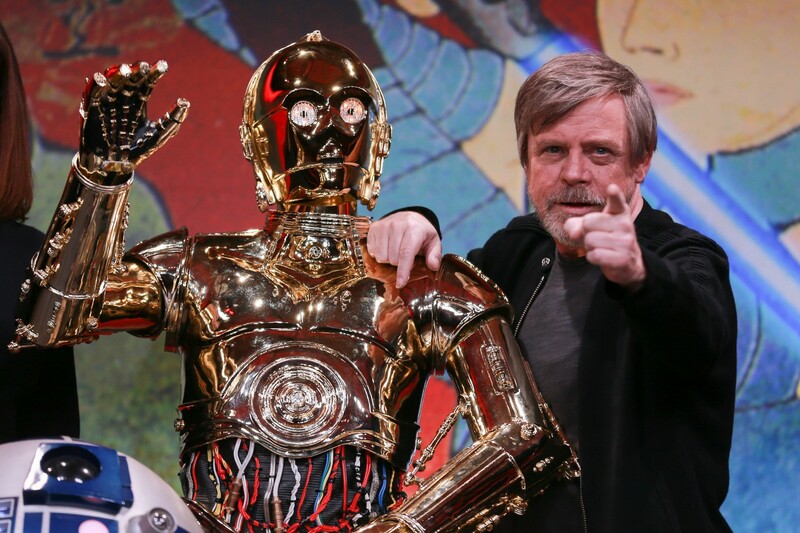 Dublin of course will have the largest parade, and with Star Wars legend Mark Hamill the guest of honour, it’s sure to be an event not to be missed! Festivals this year will last the entire weekend, given the fortunate timing of St. Patrick’s Day this year. 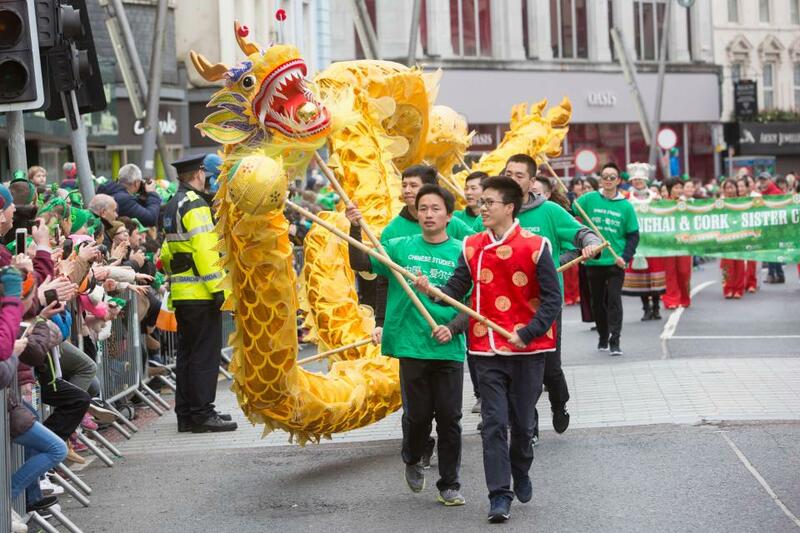 Three major cities (Dublin, Cork, and Galway) all contain events spread throughout the areas. Dublin has several events on St. Patrick’s Day itself. Blackrock Park will be the site of the Leprechaun chase at midday for a low cost (€4-5). Malahide Rugby club have a family fun day running as well. You can also indulge in a free tour of the little museum of Dublin in the city centre. To round things off there’s a fireworks display planned on the River Liffey for the evening. There’s also family-friendly events in Galway to take part in, including a children’s ceilí at the Galway Mechanics Institute, and a concert in Eyre Square. The city will look to showcase the talent and culture it has become well known for. Let’s not forget about all the other top quality local musicians around the country who will be belting out the tunes. Check out some of the most Unmissable Irish Gigs Over St. Patrick’s Weekend, there’s a few gems in here. Cork is sure to be a hive of activity with several events taking place. Traditional Irish music gatherings will be spread around the city as well as other dance and music events, markets, art displays, and events for kids and families. All can be found on the Cork St. Patrick’s Day festival page. There are events all over the country available to take part in on both St. Patrick’s Day and the entire weekend. So get out and enjoy the day when everyone puts up a drink to Ireland, even if yours is just a Shamrock Shake. Lá fhéile Pádraig!